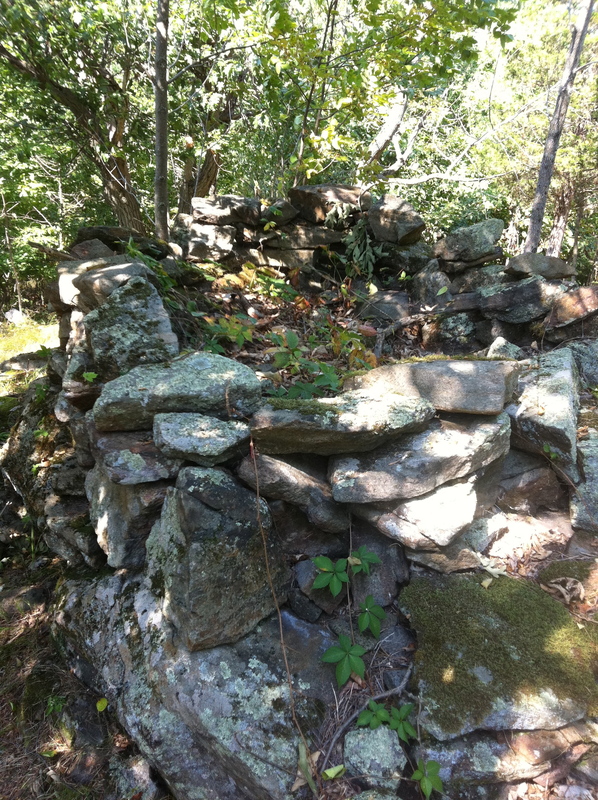 A mysterious stone structure stumbled upon in the woods high atop a geological formation. During a recent camping trip along the Rideau Waterway I went for a brief hike into the woods near our campsite at Davis Locks and stumbled upon an interesting geological formation. This extensive outcropping of unusual rocks on Lake Opinicon had me take a closer look which led me to a rugged cliff like area. A collection of strewn stones and odd formations were visible that looked curiously man made. 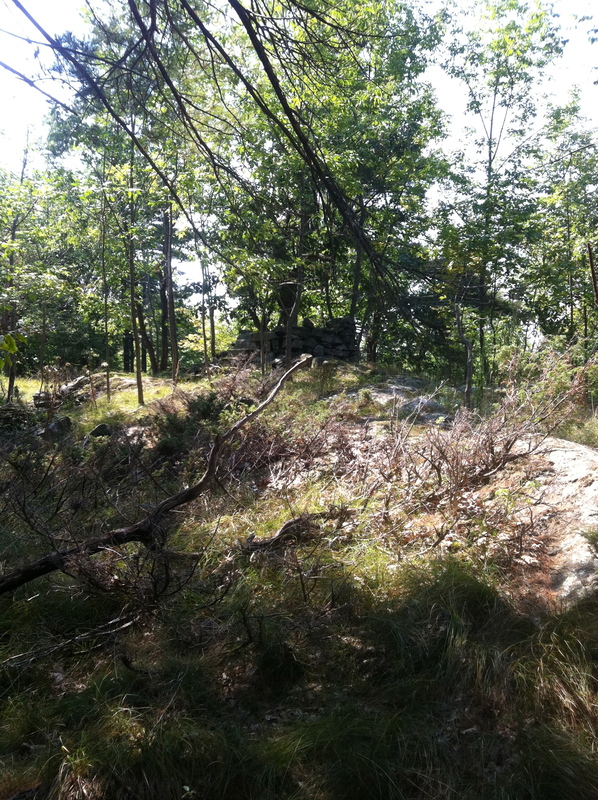 Of course wanting to investigate further, I climbed these rocks for about 20 minutes to the summit where tucked beneath a stand of trees I came across an unusual stone cairn. 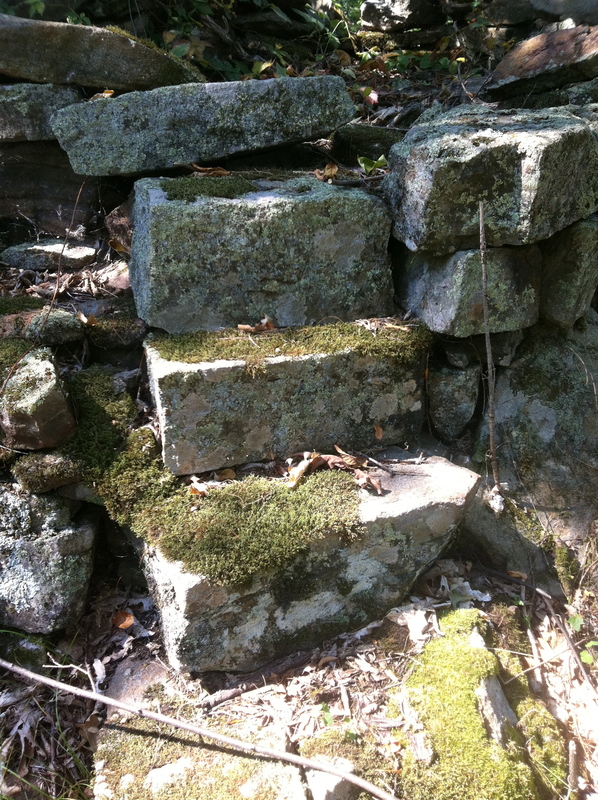 It’s purpose unknown, the structure was compiled of rocks piled into a rectangular formation with purposely placed stone steps leading into it. The stones of the structure were placed atop an existing boulder protruding from the ground, as well as a split rock also situated in the ground. It looked like a kid’s fort built on the top of a cliff. Yet it seems like a lot of effort the kids went to in building the structure, but perhaps kids years ago were more resourceful than kids today. I inspected the structure for other details that may reveal its purpose, but still the answer was not clear. I photographed it and proceeded to descend the cliff back to camp. 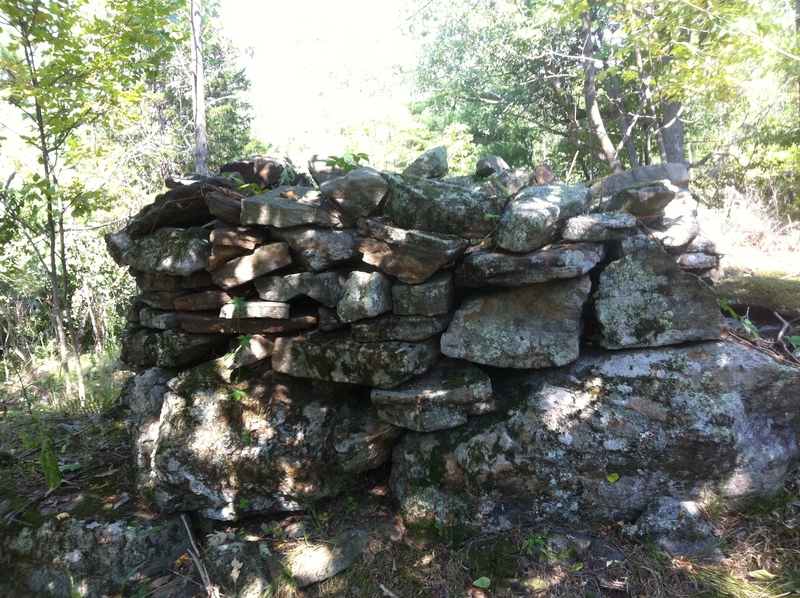 Eventually I wanted to ask others what they thought it was to see if we could solve the MYSTERY OF THE STONE CAIRN. Situated on the top of the cliff, the structure looks like it has been undisturbed for years. Returning to Ottawa I emailed some photos of the mystery structure to experts in the field of archaeology to see if they could give their opinion as to what it was. 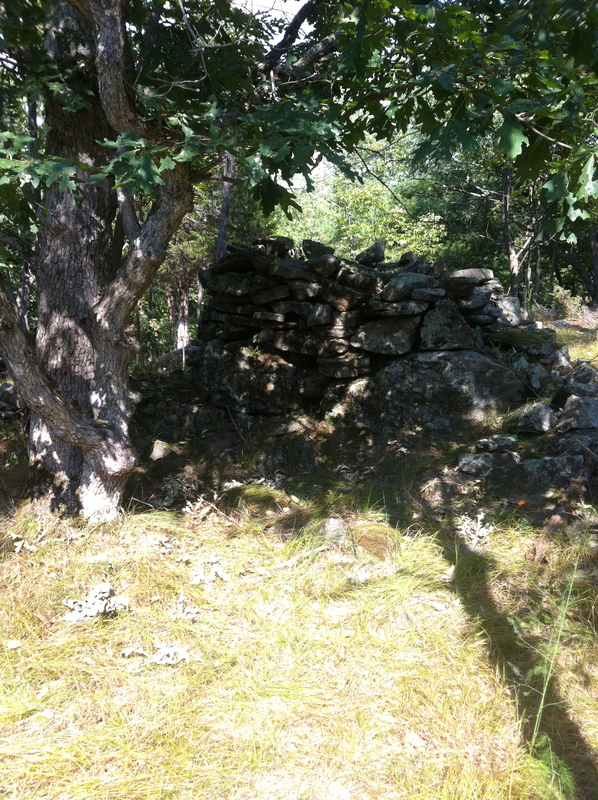 A response soon came back that it was some sort of old mining operation structure, a flagpole base or a lime kiln. I personally don’t think it could be a mining operation since I have come across these before and there is no indication the area had any active mining. With the canal lock in close proximity a flag pole base could be an option, but the size of the structure measured about 8 feet by 6 feet and about 4 feet tall, which makes it seem like an unusual candidate for a flag pole base. A kiln is a possibility, but it seemed so crudely put together that it seems unlikely it would be used for heating/kiln purposes. Stones had been placed in an obvious “staircase” formation that leads into the cairn. Purposely placed cut stones that form stairs into the stone structure. Doing my own research into what it could be, a looked into the previous history of the land where it rests. 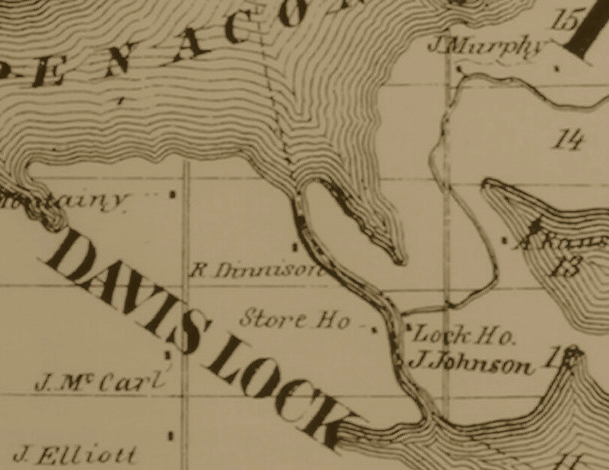 Research shows the parcel of land was first owned in 1797 by a Loyalist by the name of Walter Davis from Connecticut , of which the lock is named after. 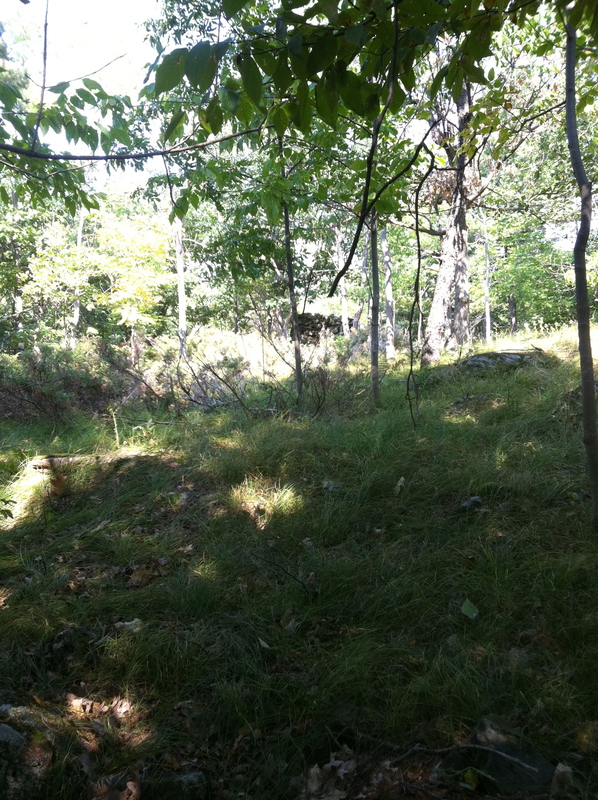 A former member of the American Rangers, Davis moved to South Crosby Township where he set up new life for himself as a Loyalist, building a home and mill on the site of rapids that once connected Lake Opinicon to Indian Lake. This would later be taken over by Col.John By during the construction of the canal system in 1826 when the locks were constructed and the rapids diverted and channelled elsewhere. The structure measures about 6 by 8 feet and is about 4 feet tall. The interior is filled with unknown material. 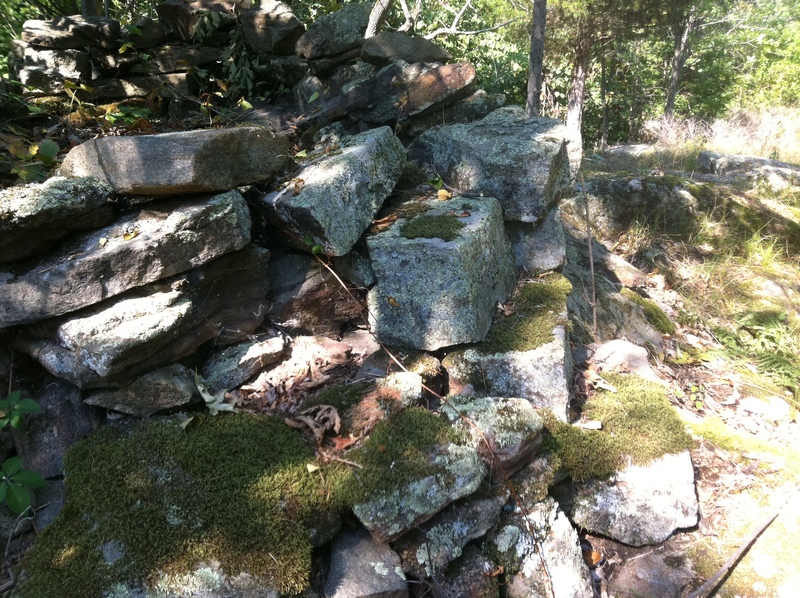 Did Davis build a stone lookout atop the cliff overlooking his property? The structure is situated on the highest point of land that overlooks both lakes and commands an impressive view where you would be able to see anyone approaching for miles. As a former American Ranger, perhaps Davis knew to take the strategic high ground to build a mini stone fort lookout. However, why was this not destroyed in the almost 200 years it could have been sitting there by the various other people that came into the area? A map from 1880 shows the area and a “Store Ho.” is marked in the vicinity. Is this the storehouse made of stones? I contacted another source who may have answers, a historian who specializes in the history of the Rideau canal. Upon receiving the photos of the structure he was also mystified as to its purpose and given the GPS coordinates, went to investigate for himself and inspect it for clues that may reveal its purpose. Upon closer inspection he concluded it is just a “children’s fort” and which could date it to almost any period (1800s or even early 20th century). Rocks are piled neatly on top of existing ground boulders. Tucked out of sight the structure is on the highest point in the area. Looking further into the land owner Walter Davis who is from Connecticut, I attempted to see if there was a connection to the state he came from. 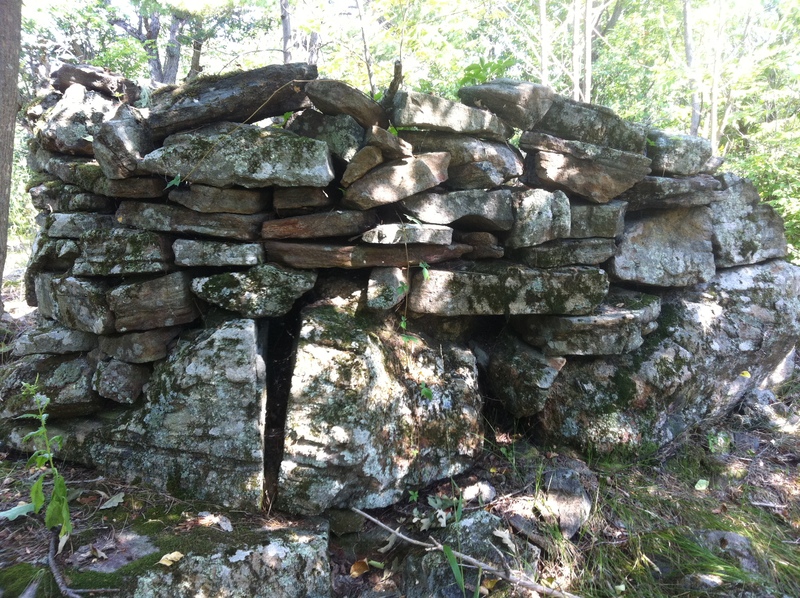 Perhaps there was a typical North Eastern United States stone building technique that was common to that area Davis brought with him to Canada. 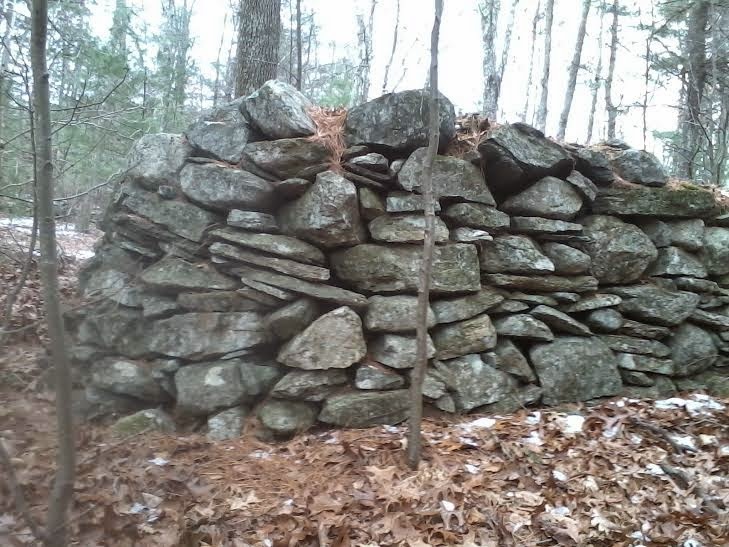 A quick Google search revealed that Connecticut, New Hampshire and Vermont all have an incredibly high number of these mystery stone cairns as well. Is there a connection to some kind of Eastern US farming practice? Maybe they used these stone cairns to burn brush or store garbage. An unsolved stone mystery lies quietly beneath the trees of Lake Opinicon. My thoughts lean towards it being some kind of lookout post our Loyalist friend Davis built when he arrived from Connecticut to the area in 1799. Yet the location is most serene, surrounded by rocks of unusual shapes and geological compounds. Situated high above two gorgeous lakes at rapids that once connected the two in a tranquil forest also lends itself to the plausible theory it was an ancient spiritual structure that has remained as such to this day. 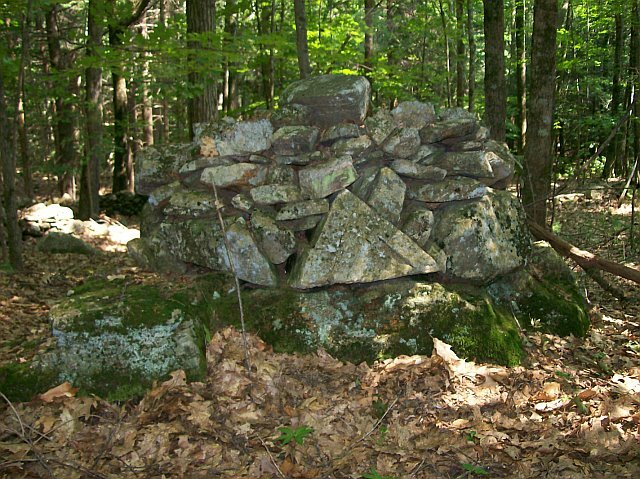 If anyone else has other ideas or theories, please pass them on and perhaps we may eventually solve the MYSTERY OF THE STONE CAIRN.